Ah Revan, from Knights of the Old Republic - this character is introduced in one of the biggest plot twists in gaming history (if you haven't played Knights of the Old Republic, spoilers are ahead - and shame on you for not playing it)! As you're playing Knights of the Old Republic you learn of this evil Revan chap (or chick) who has set into motion a plan to take over the galaxy. Thanks to him/her, his/her apprentice Malak is running amok wreaking havoc on the Old Republic. 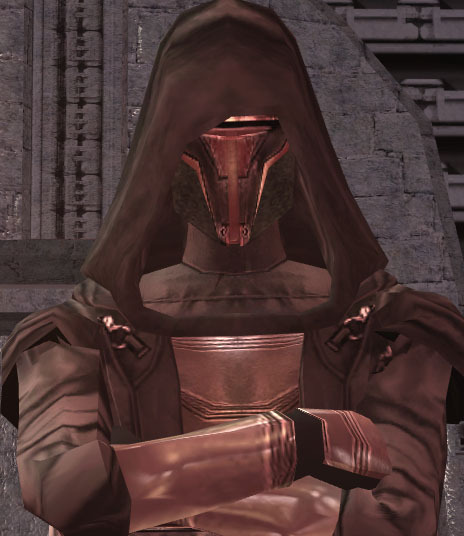 It's only half-way through the game that you discover that Revan is actually you and thanks to amnesia, you forgot who you really were. Sure, you get a choice to finally let go and give in to your Dark Side once you discover your true identity but I find it more interesting and rewarding playing as a Light Jedi since it's the traditional story of redemption. The fact that Revan is an evil character that is able to redeem himself/herself and become a champion of good is a great story and a reason Revan is at #7 in my list of PC Gaming Heroes. Oh, and being a Jedi with a nifty light saber helps too!